Melt white chocholate in the microwave or double boiler. Once fully melted ladle a spoon of chocolate on the parchment paper in a fried egg shape. 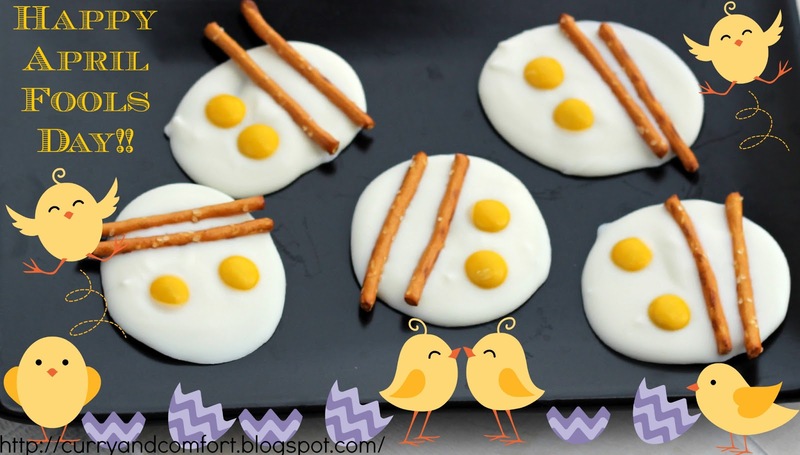 Quickly place the yellow candies for yolks and the stick pretzels for bacon. Allow candies to set up for about 1 hour or more. Enjoy. I am fooled indeed, really thought they are the real thing! omgosh!!! this is too cute!!!!! These are so clever! 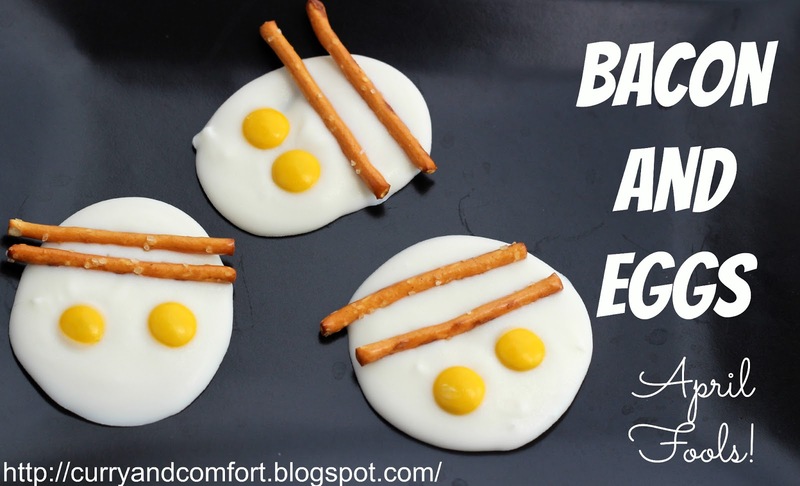 You are such a great mom to do these special food treats for your kids. Can you adopt me? These are very cute and creative. I love how you are always on the lookout for clever ideas. This is pretty awesome! The eggs look so real! Haha! I missed this on Monday but I sure got a good laugh today!